One of the most cost effective ways to insulation a building is to use fiberglass. Fiberglass is essentially a woven pattern of glass strands that create a thick, soft padding to put in between your inner and outer walls. 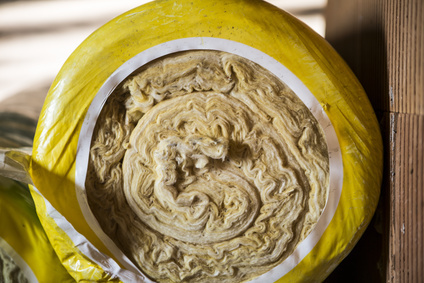 Due to its low price, fiberglass is incredibly common, also because it isn’t a fire hazard like other forms of insulation. However, since fiberglass is created by using microfibers of silicone and glass, it can form a health hazard to install, if you are not careful about it. Whenever installing fiberglass, always make sure to wear face protection for your eyes, mouth, and nose, as well as wear gloves whenever handling the material. Many times, it isn’t entirely viable for people to tear down their walls to install something like fiberglass insulation. However, that is sometimes part of the process to use that material. Many people look for convenience when it comes to updating their homes, though. For those people polyurethane foam is an excellent option. This special foam can be blown in to fill up walls with a non-chlorofluorocarbon gas. This makes for an eco-friendly insulation material that is also fire resistant, and has terrific insular qualities with an R value of R-6.3 for every inch. Sometimes also called slag wool, mineral wool is created using excess materials from steel manufacturing. Mineral wool is a cheap way to insulate large areas of space, as it can be bought in enormous bulk amounts and has a relatively high R rating. One issue with using mineral wool, though, is that it is not resistant to fire. This has kept mineral wool from leaping to the popularity that fiberglass has been able to enjoy. However, many industrial buildings will use mineral wool in conjunction with other forms of insulation to keep costs low, while not presenting a safety hazard.